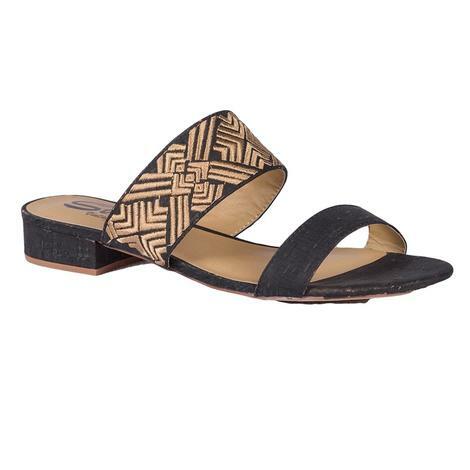 Show off how your love for looking stylish with the help of the Torrence Flat Sandal in Rose, Enhanced with open toe, low heel and cushioned insole with adjustable ankle strap buckle closure. Leather upper and outsole. This is an authentic western apparel by Roper Apparel. 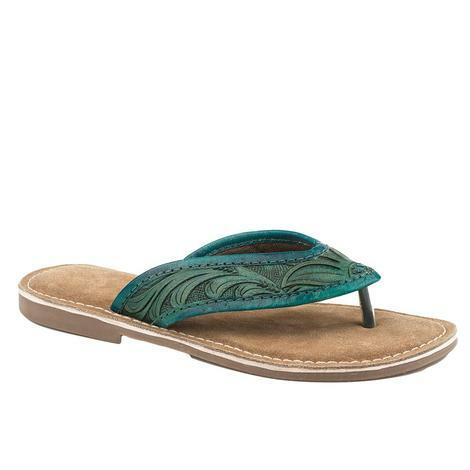 These sandals are made of leather materials with a unique hand tooled design, for total comfort they feature a padded comfort sock. 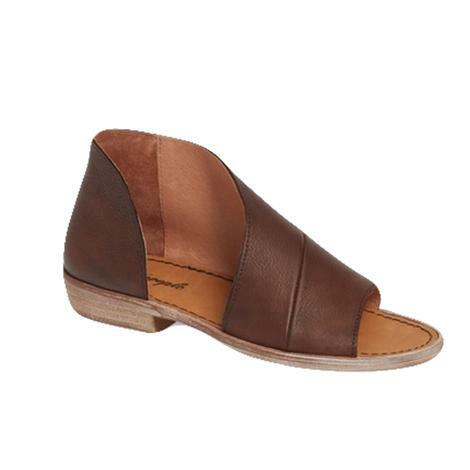 These will be your go-to slip on shoes to keep with you at all times. 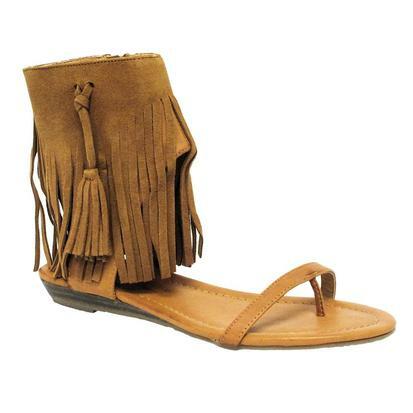 Step ahead of the rest in this new sandal by Free People. 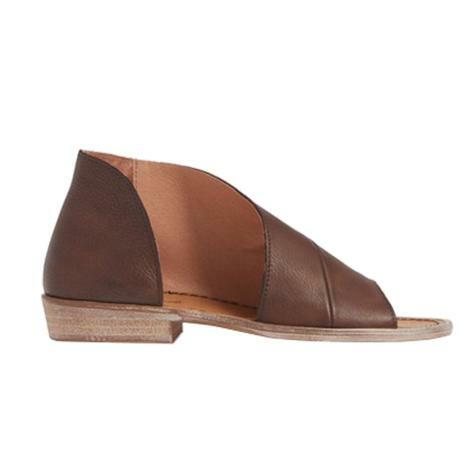 It Features an open toe design and unique side cutouts, made with the finest Spanish craftmanship and leather. 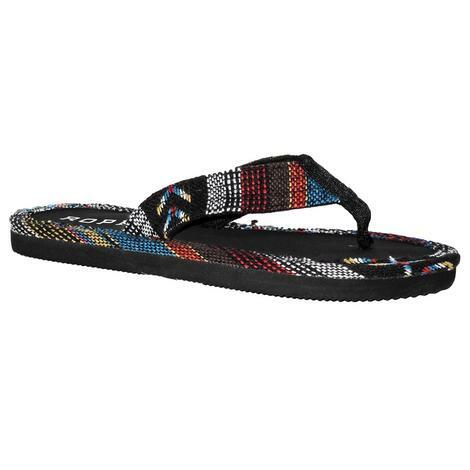 This shoe fits true to size, but if you're a half size then we suggest going a size up. 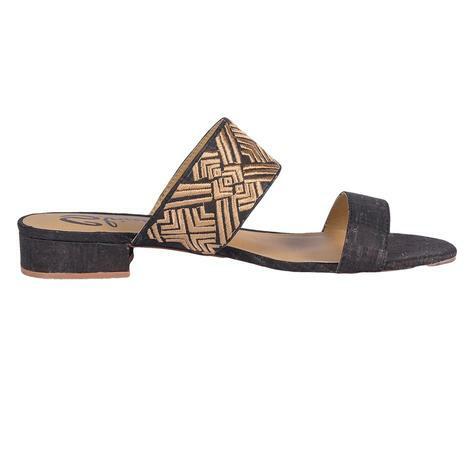 The Minimalists sandal of choice to go with everything. 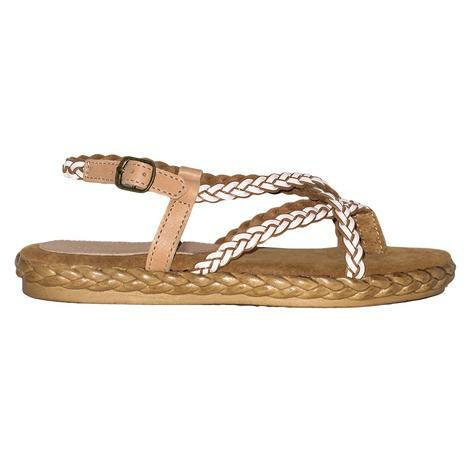 TKEES Foundations sandals come in a variety of neutral shades as well as some downright spunky ones. 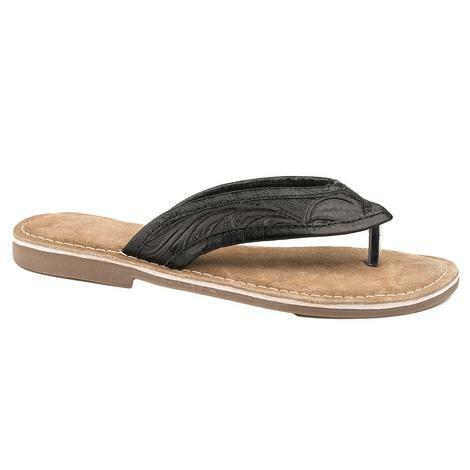 Made of cowhide leather upper and insole, as well as a rubber outsole, these simplistic flip-flop style sandals compliment virtually every skin tone. Lightweight and sure to fit, pick up a pair today. 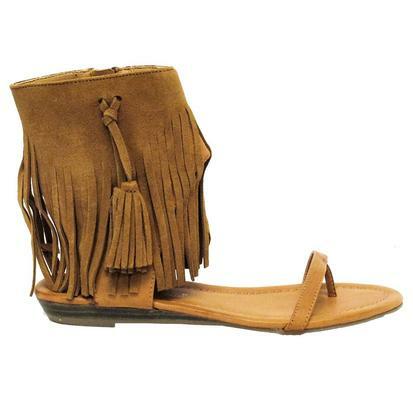 The straps on this unique sandal by Roper features intricate embroidery, soft fabric fringe, and braided accents. 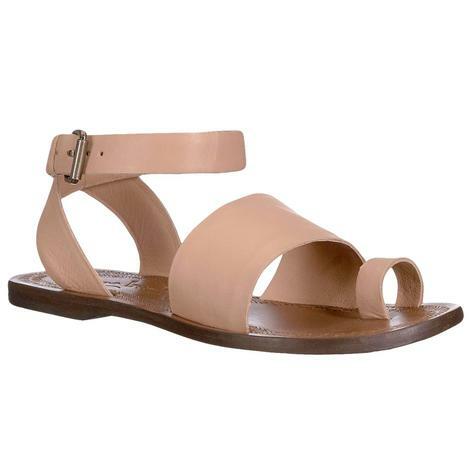 The ankle strap is adjustable metal buckle. 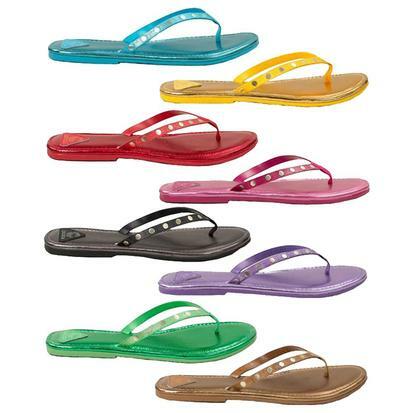 A lightly cushioned fabric footbed rounds out the sandal. 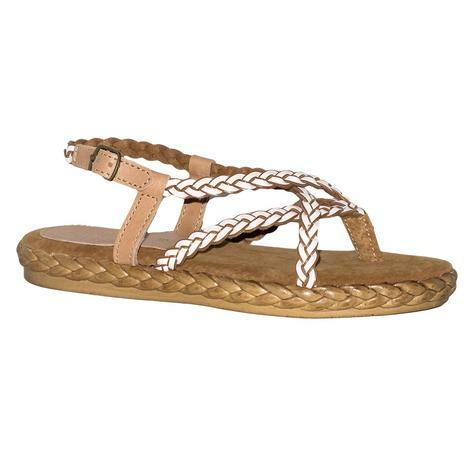 These leather sandals have a unique braoded upper with extra braiding detail on the midsole. 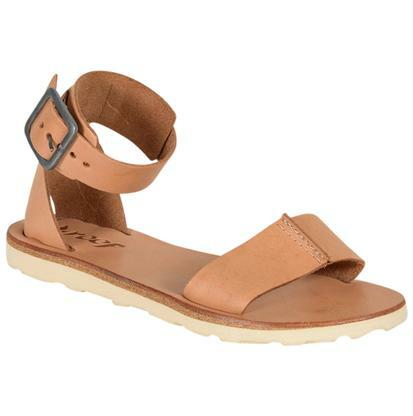 The ankle strap has a adjustable buckle closure for a perfect fit. Add these to your collection today while supplies last! 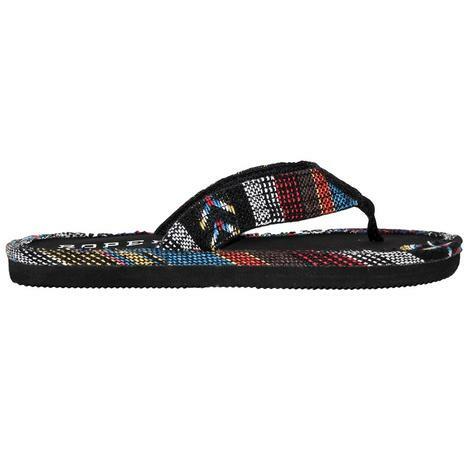 The Ella sandal by Roper features a bead trim and multi-colored striped print. 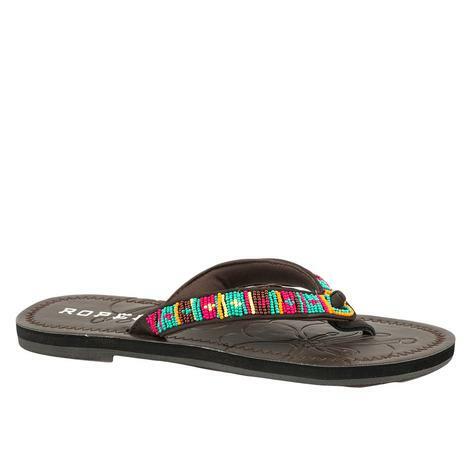 These beautiful serape floral wedges by Roper have comfortable synthetic straps and a soft textile inner lining for maximum breathability. 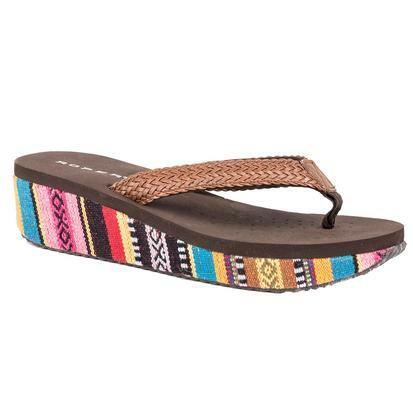 The multi-colored serape wedge sole pairs well with any shirt or jean that you already have in your collection. 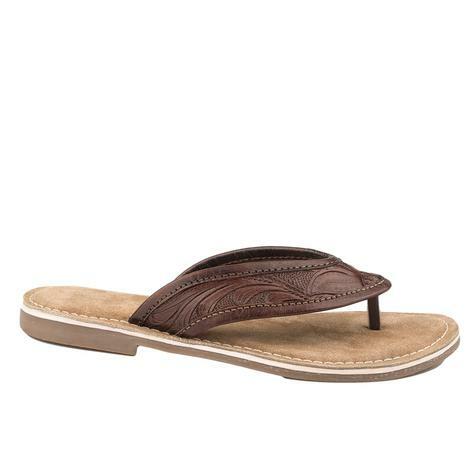 Reef's Voyager sandals for women are made from top premium full grain leather. Distressed to perfection for a well worn look.